Zimba (called Oscar at home) has found his new home in a German town Mockrehna. Oscar is the second samoyed, there is a 4 year old sammy girl Luna in the family. Zindarella Candido Gioio with her new mama Barbara. Zindarella will live in a wonderful South Tyrol city Eppan, rich with forests and on top of the Alps. Zara with her new family in Tallinn, Estonia. 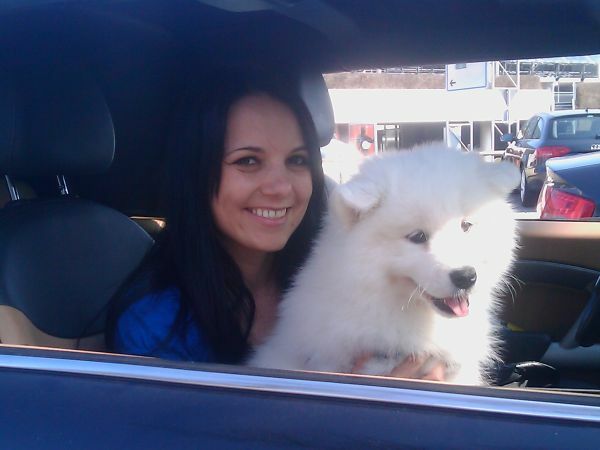 We wish lots of joy and happiness to the new sammy owners!